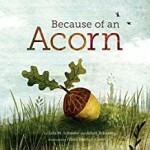 Introducing children to ecology when they a young is a very good thing and Lola Schaefer’s book, Because of an Acorn, is a good way to do it. The author takes the readers on a visit to a oak forest and introduced some of the relationships between the plants and animals that live there. Written for children five and six years old, the book presents the concepts simply and uses the illustrations to further the concepts. The story begins with a simple statement, “Because of an acorn, a tree” and goes on to show how the tree supports a bird, a bird causes a seed to fall to the ground, the seed produces a plant with a flower, the flower produces a fruit, the fruit is food for a chipmunk that attracts a snake that in turn1 attracts a hawk, and the hawk causes an acorn to fall from a tree when is perches on one of its branches. The last phrase, “because of an acorn…” brings us full circle and a bit more, because not just a tree results but a whole forest. The circular nature of the story is emphasized by the inclusion of a cutout in the beginning and end of the book. The interdependency of the living members of the forest as well as the idea of a food chain beginning with plants and ending with a top carnivore is logically developed in a cause and effect way without showing any gory details. Supplemental material at the end of the book includes information on white oak trees, the concept of ecosystem, and the importance of conserving resources. The language and phrases are simple and clear while the illustrations are lavish and complicated. They are clearly related to the text but offer a whole lot more in terms of enjoying and understanding the words. Done is many shades of green enlivened by dashes of color in other earthy hues, the pictures are delightful by themselves and capture the essence of a walk in the forest. 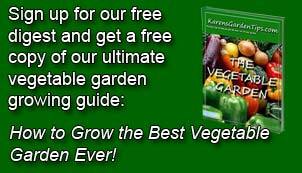 An inspirational read and a wonderful book to share with young children. To buy Because of an Acorn from Amazon.com Click Here.